As technology continues to evolve, we can incorporate these new technologies into our day to day lives. No matter what your occupation may be, technology most likely plays an important part. Video Technology continues to play an important role in construction and plumbing. The advancements of video technology have revolutionized the industry. 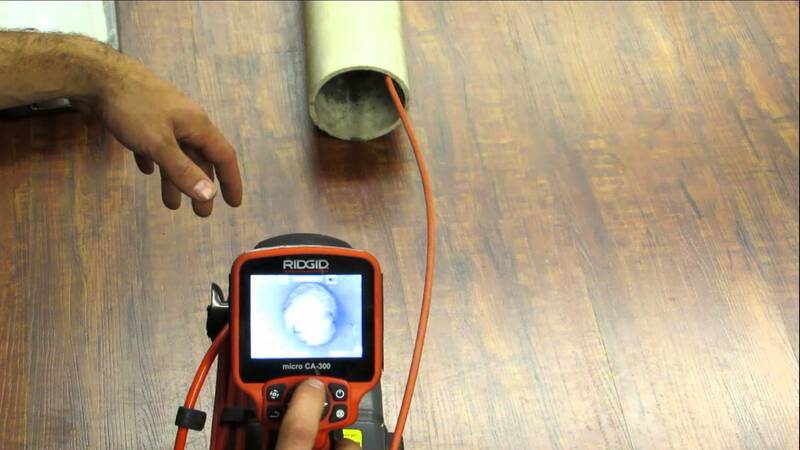 The use of a pipeline video inspection system such as a sewer camera or a push camera can allow you to detect a false ceiling, hollow spaces or shafts, and can allow you to locate a blockage in a sewer line. Push cameras are designed for architects, engineers, and plumbers. It doesn’t matter what kind of pipe problem you may have; this tool allows you to find the best possible way to handle it. Using a push camera allows you to cost efficiently locate the problem and inspect the damage without having to dissemble the piping. This is often used for plumbing systems, drain pipes, and storm drains. Sewer inspections are a common process before you purchase a home. A standard pipeline video inspection takes one or two hours to complete. The average cost will run you around four-hundred dollars. Sewer repair is every homeowner’s worst nightmare. It can be very expensive and leave you feeling overwhelmed. One of the worst aspects of sewer repair is all the costs associated with it. Sometimes it will force the plumber to have to dig up your yard. Using a push camera makes sewer repair easier to diagnose the problem without having to dig up the pipes or ruin your lawn. The process allows a skilled plumber to quickly access the problem and put together a plan. This allows you to save money and remedy the problem at an early stage. Many maintenance trucks come equipped with a built-in pipeline video system. The maintenance truck usually contains a power supply such as a generator. The service truck is then parked above the manhole or above, the access point to the pipe. The camera traitor has a flexible cable attached to the rear; it is then lowered into the pipeline. The technician can then monitor and remotely operate the camera from inside the truck. This can help them figure out what improvements need to be made to the pipe. The pipe can be excavated so that the damage can be repaired, or the pipes can be replaced. It is common to perform a pipeline video inspection. A fiber optic camera is about a quarter inch in diameter; it is specifically designed for being able to see in hard to reach places. It is attached to a flexible metal cable that you insert into the opening; it is very similar to operating a plumbing snake. The camera is controlled by the small motors inside the coil. A technician can monitor what he sees on a small portable display. This allows the plumber to detect any potential damage. This allows them to check for root damage, breaks and corrosion. With using the camera, you can find out exactly what the problem is.